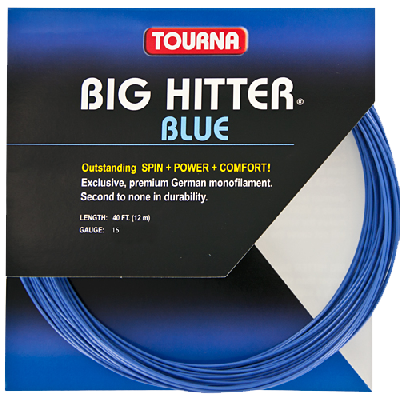 Tourna Poly Big Hitter Blue is an incredibly soft and durable monofilimant string made with polyether. 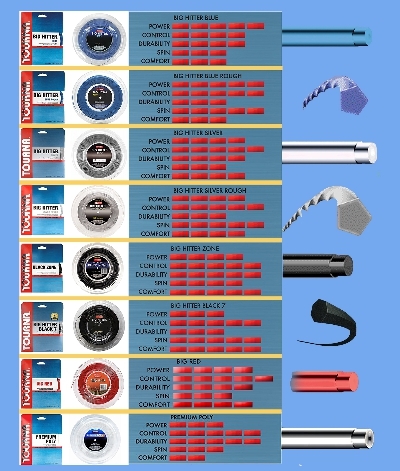 Top 10 rated monofiliment according to 2007 RSI blind string testing. 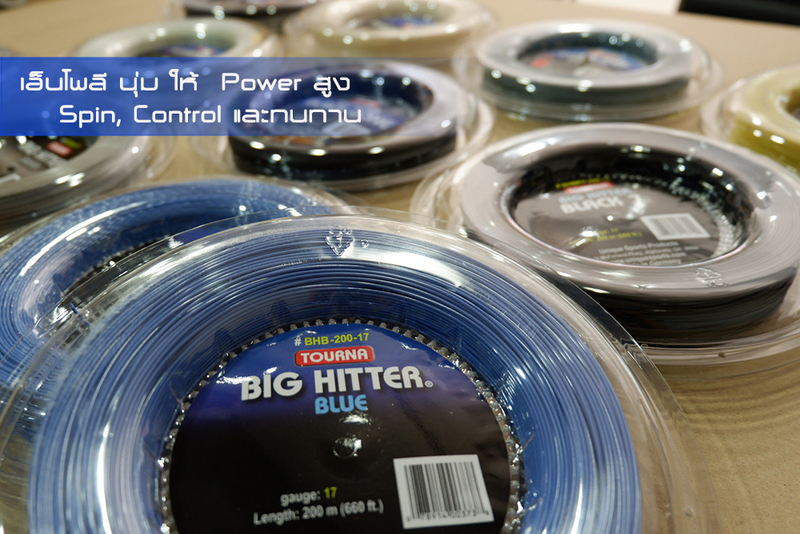 Rates in top 5 for durability, spin, tension maitenence, and resistance to movement. Gives great feel and comfort compared to other polys. 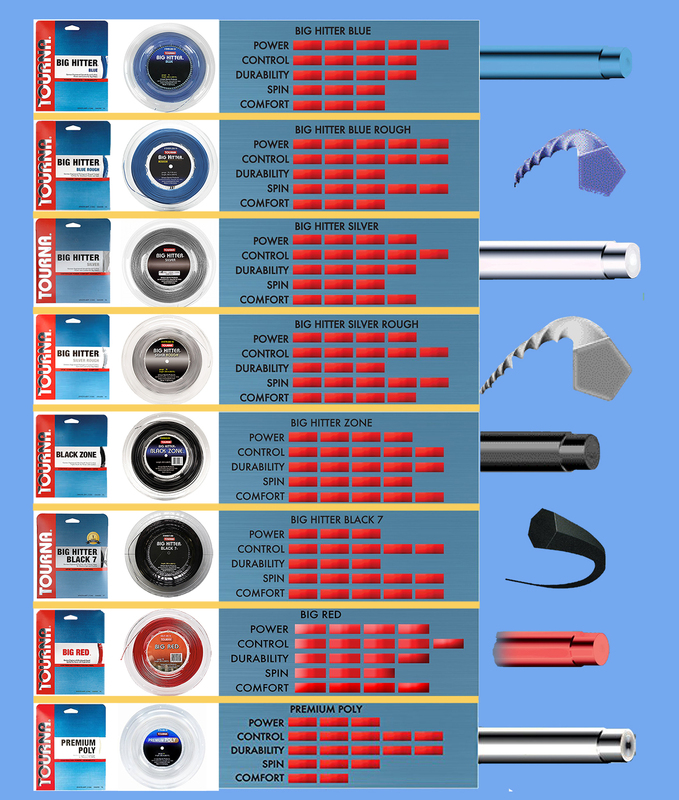 Very comparible to Luxilon at a fraction of the price!